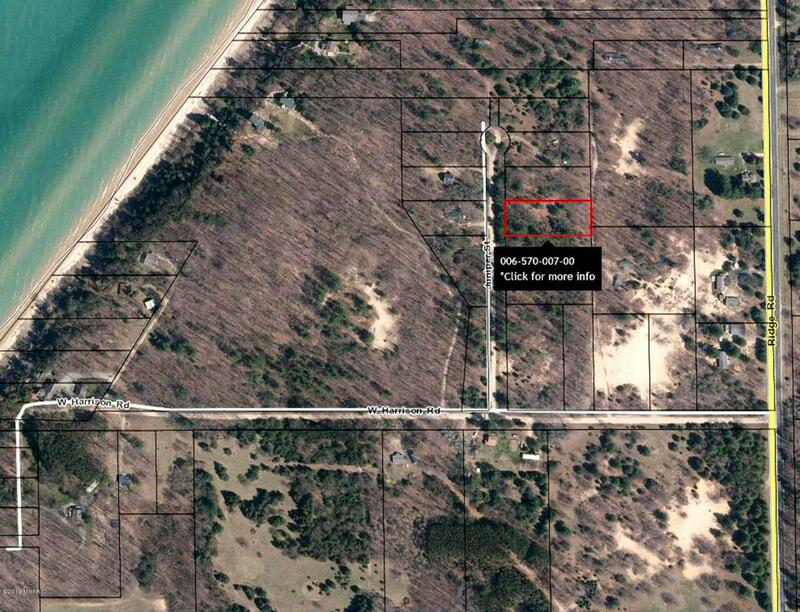 Great, level building site over 3/4 acre with public road end access to Lake Michigan within walking distance. (End of Harrison Road) Wooded and close to Silver Lake, the Silver Lake Sand Dunes, plus and easy drive to Pentwater. Build your vacation cottage/home and enjoy all the West Michigan area has to offer.